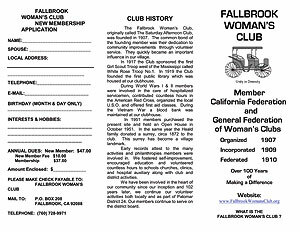 Fallbrook Area to Join Us. 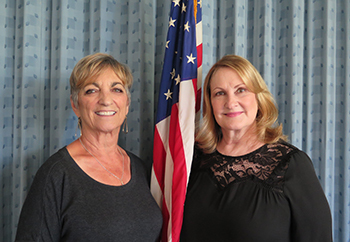 Meetings are held the second Tuesday of month in our clubhouse located at 238 West Mission Road in Fallbrook. 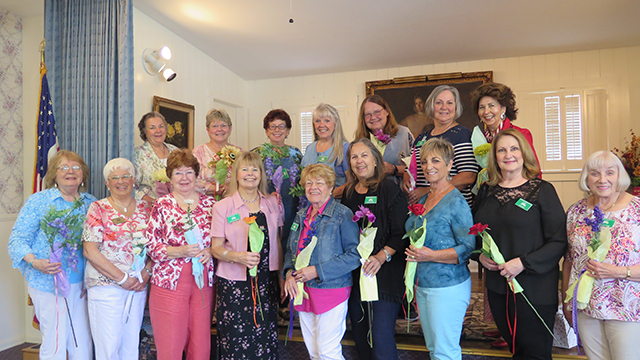 At each monthly meeting a Tea or Luncheon is served. Various interesting programs are presented for our member's enjoyment and club business is included. Please contact membership chair Roxann Clouse (760) 731-3207 and LeNita Hague (760) 451-0249 to reserve seating.